Police Superintendent Eddie Johnson has a message for community members and African-American lawmakers: help. With at least 13 homicides over the Labor Day break–and another 65 wounded–Chicago has surpassed its homicide total from all of last year. The superintendent says the Chicago Police Department is doing its best but can't reverse the spike in homicides on its own. Johnson held court with the press Tuesday and took a different tack, calling out community leaders and African-American lawmakers to help the CPD. Specifically, the department has a low murder clearance rate and he says community members need to get involved to help CPD solve crimes. There is an effort led by state Sen. Kwame Raoul and state Rep. Mike Zalewski to target repeat gun offenders. Their aim is to increase those sentences and make sure a majority of the sentence is served. Tuesday, Johnson highlighted the fact that many of the victims of gun violence over the weekend were ex-offenders who had served relatively light sentences, in some cases for previous gun charges. But not everyone agrees that tougher prison sentences equal a lower homicide rate. Tuesday also marked the official last day of CPD veteran and brief interim Superintendent John Escalante. He was whisked off in a 1950s Chevrolet Bel Air and feted with bagpipes and a helicopter salute – a tremendous sendoff as he leaves to take over police at Northeastern Illinois University. This, after he was passed up by Johnson for the full-time superintendent position. “I’m leaving confident that this department is heading in the right direction with Superintendent Eddie Johnson, who is a close friend and will remain so,” Escalante said. Escalante is one of several high-ranking members of the CPD to retire or leave in recent months. 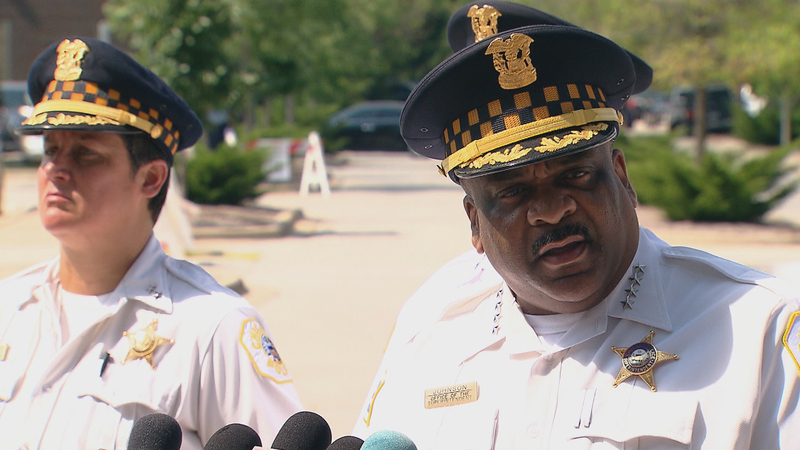 At the same time, the mayor said last week that CPD would hire hundreds of new cops. But some aldermen we spoke with Tuesday say they believe that the new hires will barely keep up with attrition – or filling the slots of the cops who are retiring. Sept. 1: August marks Chicago's deadliest month for gun violence in 20 years. What Police Superintendent Eddie Johnson has to say about rising crime, and whether others agree. Sept. 1: Helping patients recover from gunshot wounds is just one part of a new violence-prevention program at Stroger Hospital. A look at how workers are going above and beyond the bedside. Aug. 30: Acknowledging the historically high murder rate in Chicago this month, Chicago Mayor Rahm Emanuel on Tuesday told “Chicago Tonight” that he is planning a major address in mid-September to deal with violence.